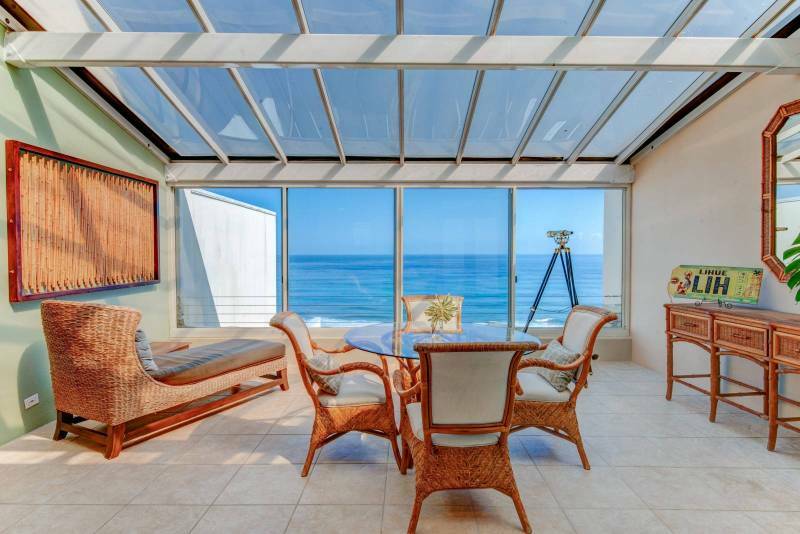 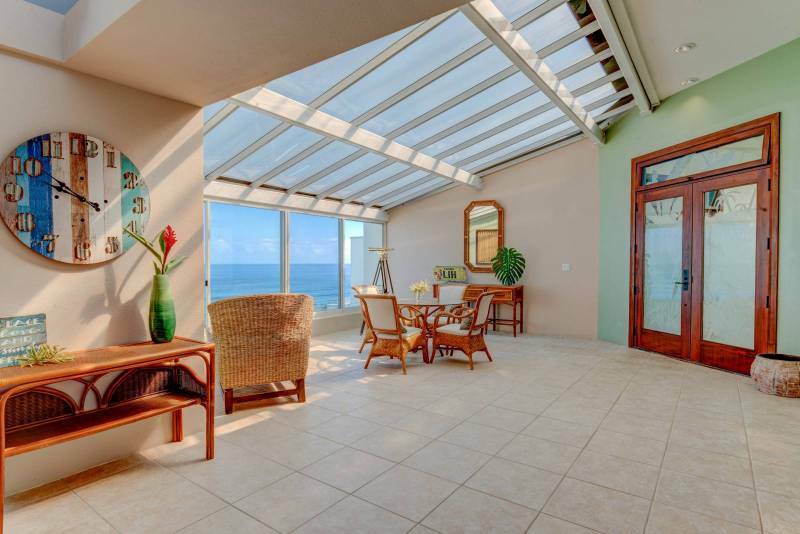 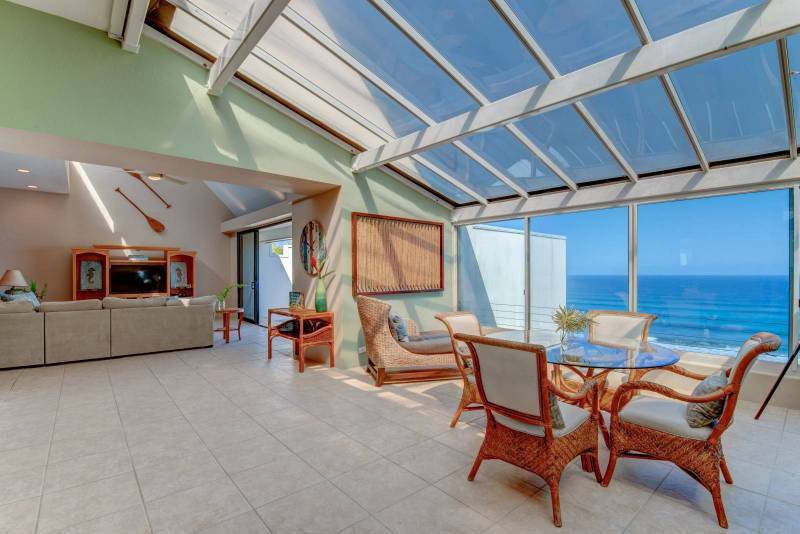 This 2 bed/2 bath panoramic penthouse unit at Puu Poa is located in one of Kauai’s premier oceanfront complexes. 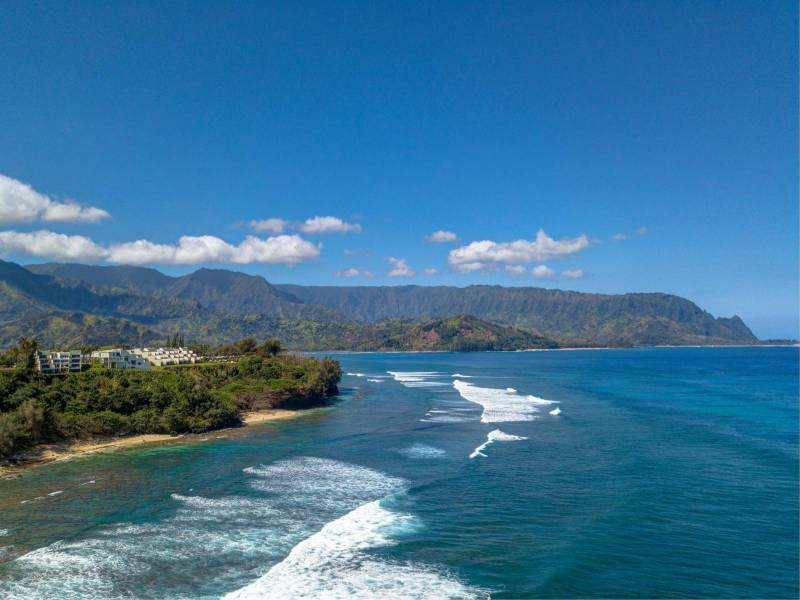 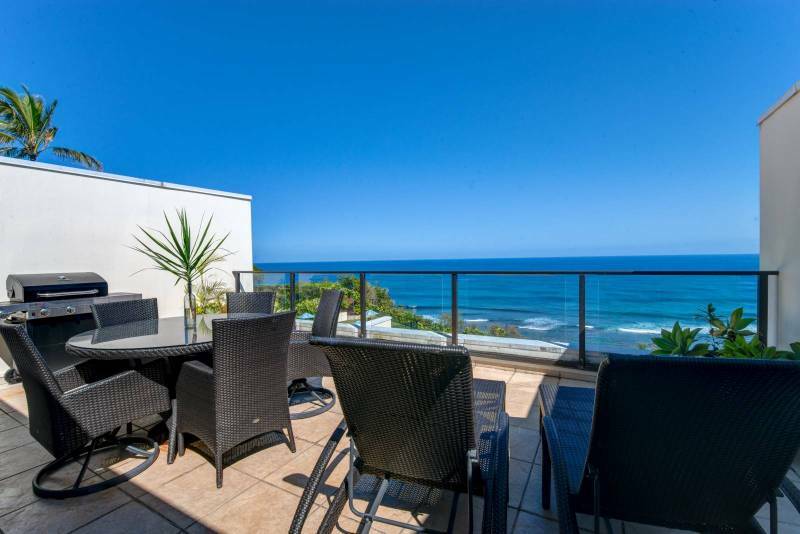 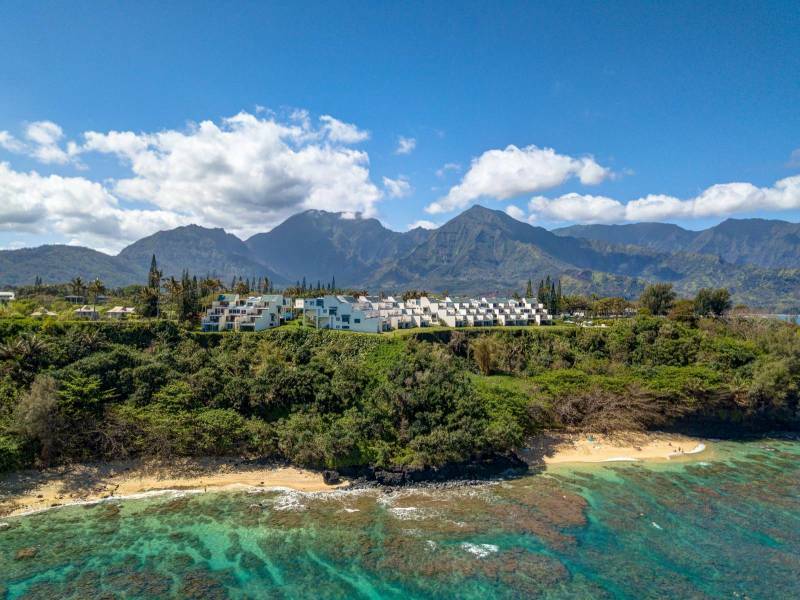 Perched on the Bluffs of Princeville, this unit is surrounded by white water views with wintertime whales and stunning summer sunsets to captivate your attention. 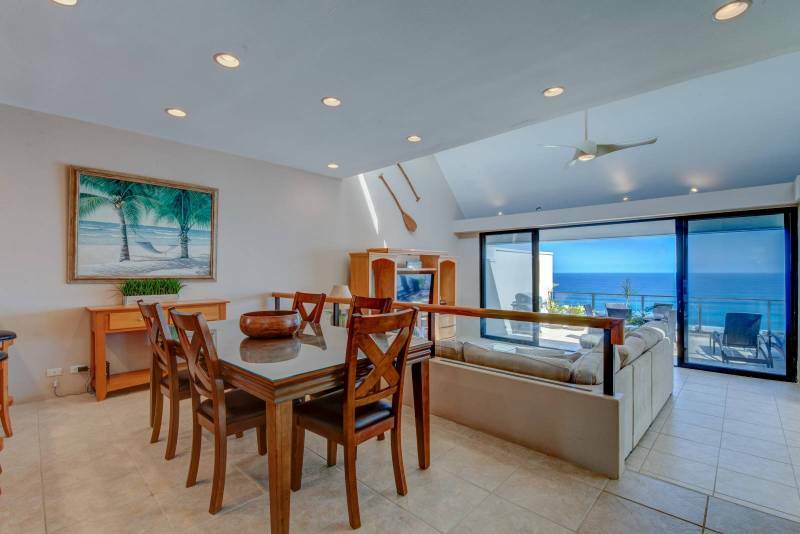 This top floor residence is also a very active and successful vacation rental and enjoys the complex amenities including a pool and tennis court. 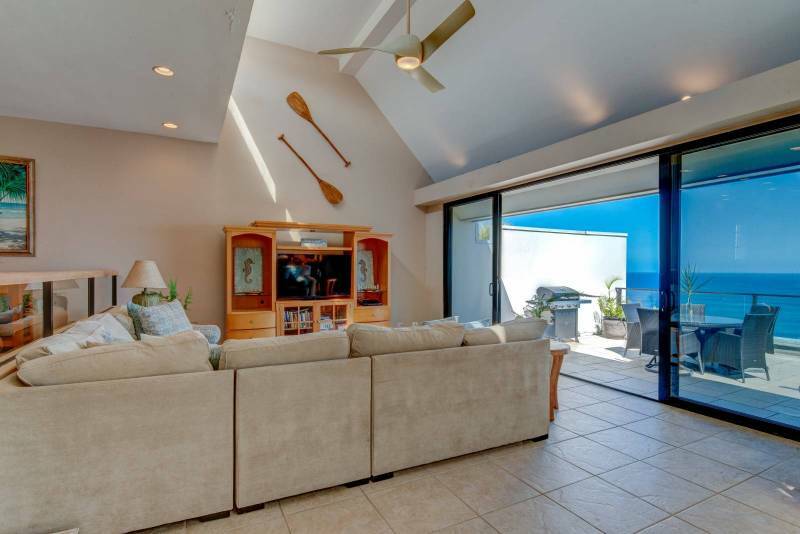 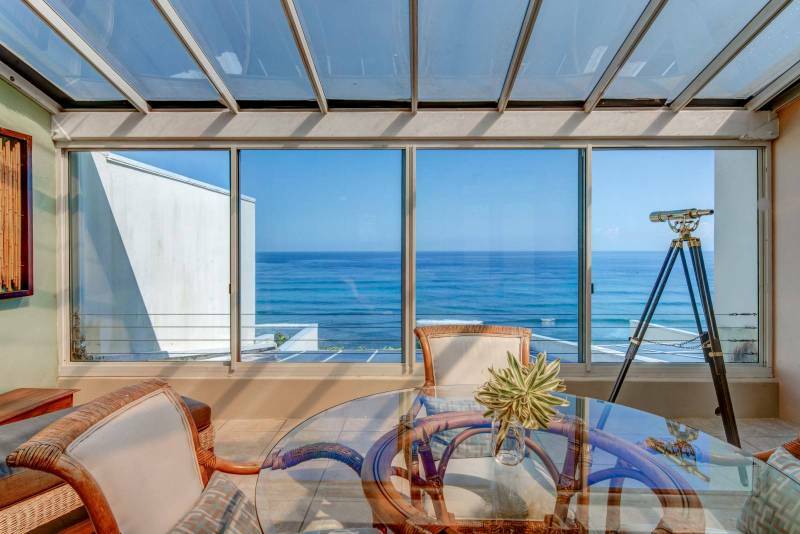 The enclosed atrium maximizes the approximately 1,750 square feet of living space — add to this nearly 400 square feet of private oceanfront lanai — giving a total of over 2,100 square feet of indoor/outdoor living space. 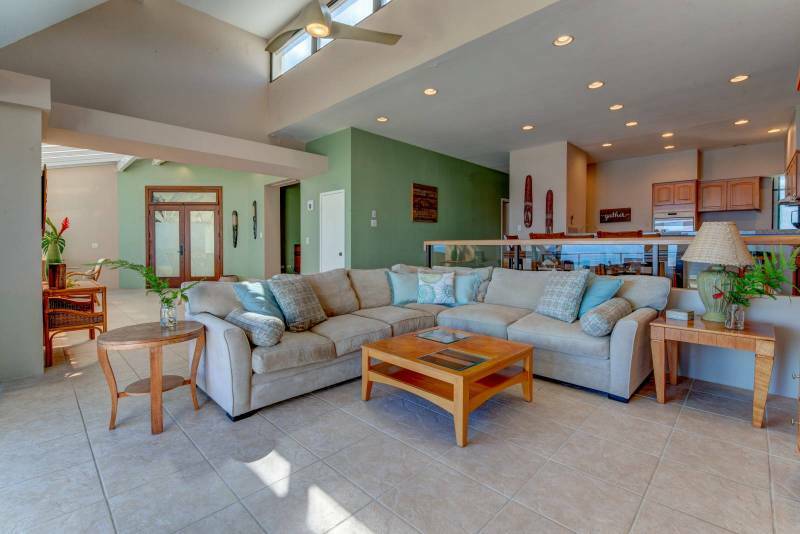 The tall ceilings give this unit a very bright and open feel. 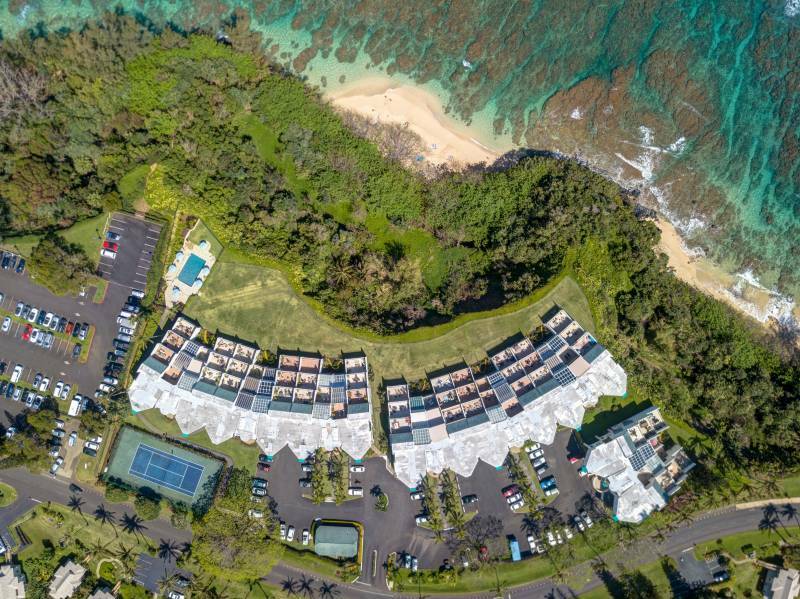 All this just steps from the beach, world-class golf, surfing, shopping, and fine dining.